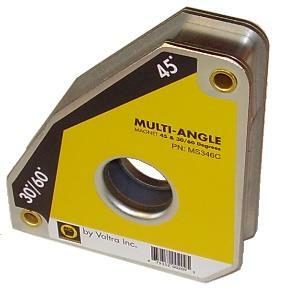 Multi-angle magnet 30°/60°, 45°, 90°, 114x97 | Elko G.C. welding at 30º, 45º, 60º, and 90º. - Accurate 30º, 45º, 60º, 90º angles. - Center hole for easy handling.